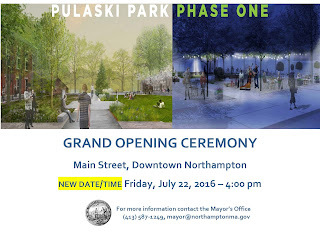 The Grand Opening Ceremony for the phase one renovations to Pulaski Park, previously scheduled for Wednesday, July 13th, has been rescheduled to Friday, July 22, 2016 at 4:00pm, Mayor David J. Narkewicz announced today. 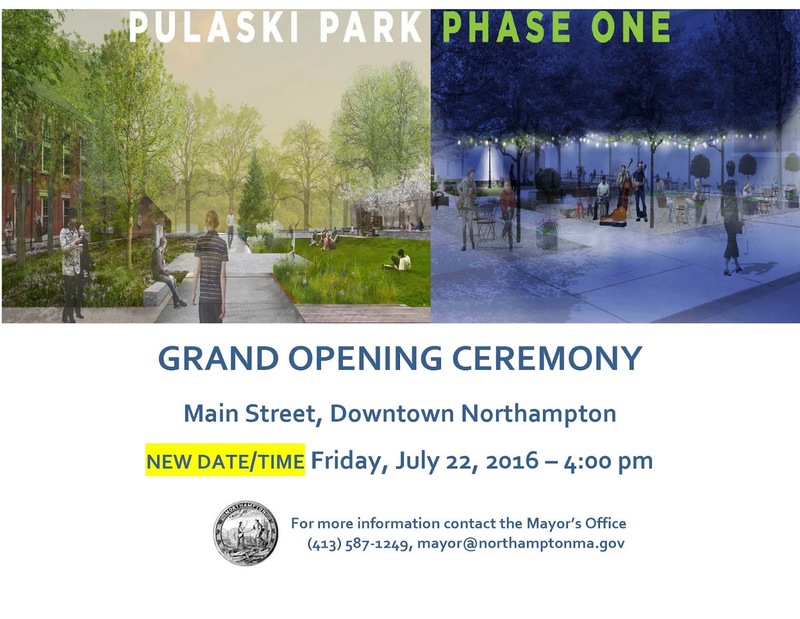 The postponement was necessitated by a manufacturing delay of key milled wood and fabricated metal components for the park project. This includes specialized hardwood decking for the public seating and children’s play area.